You know what I love? A house guest that makes me breakfast when he stays. 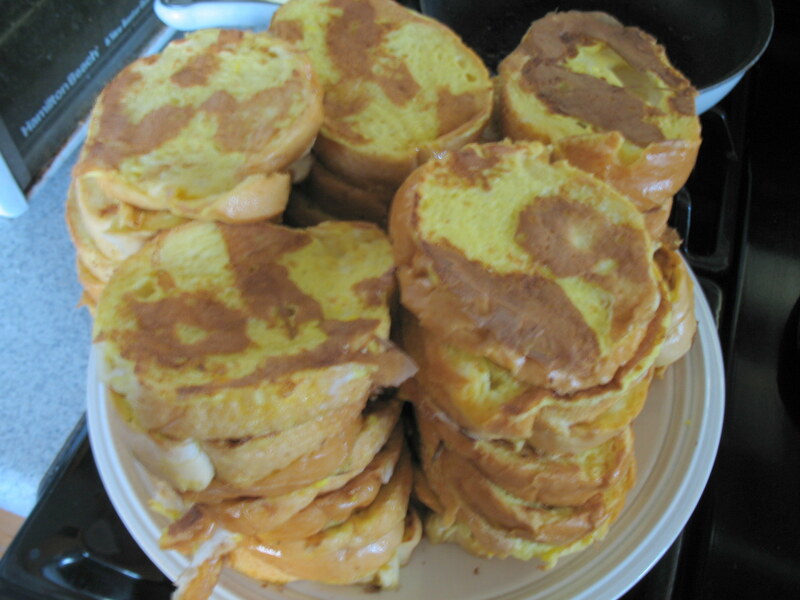 Our friend Mark stayed with us the other night and made us breakfast. Which he has done I think just about every time he has been our house guest! Remember the dog who ripped her nail off yesterday? Here she is. 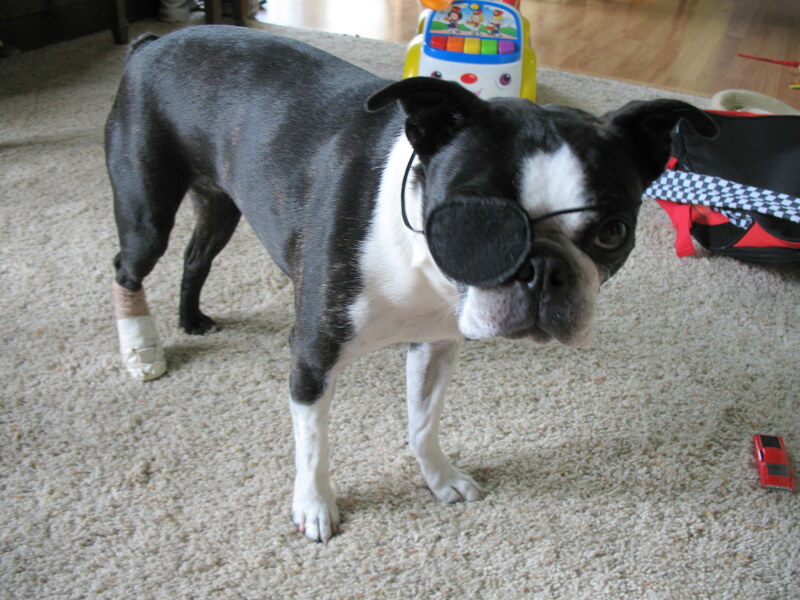 A friend on Facebook suggested that Emma wear and eye patch since I said her leg looks like a peg leg. As you can tell from the look on her face she is thrilled. She will be fine though. Her peg leg bandage comes off tomorrow and she can resume barking at neighbor kids. It’s supposed to be 90 degrees tomorrow so we are planning playing at the splashpad. This entry was posted in Uncategorized and tagged boston terrier pirates, friends, fun stuff. Bookmark the permalink.